The educational path around Lake Bukovnica is about 1,700 m long; it starts by the forest road right above the fishing cabin and leads in a circle through the forest all the way to the lake and back. Along the path you will see 6 information boards with basic data on the educational path itself. In the forest, only a few meters from Saint Vid’s Chapel you will find a magical well with real healing powers. People believe the water from this well can heal and help in case of eye, hearing, digestive, nervous system and skin problems. In the vicinity of Saint Vid’s Chapel lies a wide territory with soothing and healing earth radiation at different wavelengths or frequencies and of different colours. In a diameter of 450 m you will find around 50 healing points (26 out of which are marked). People say that if you continually spend a certain amount of time on these healing points, you can overcome all medical problems and extensively improve your psychophysical condition. Lake Bukovnica is a beautiful reservoir in the middle of an enchanted forest with great tourist attractions and relaxing activities for visitors of all ages. The spot is perfect for fishing, long walks around the lake, camping, picnics and picking mushrooms. The longest climbing route with a diameter of 27 meters. Check out our definition of fun! Click »Play« to start the video! Loose stress and slow down! 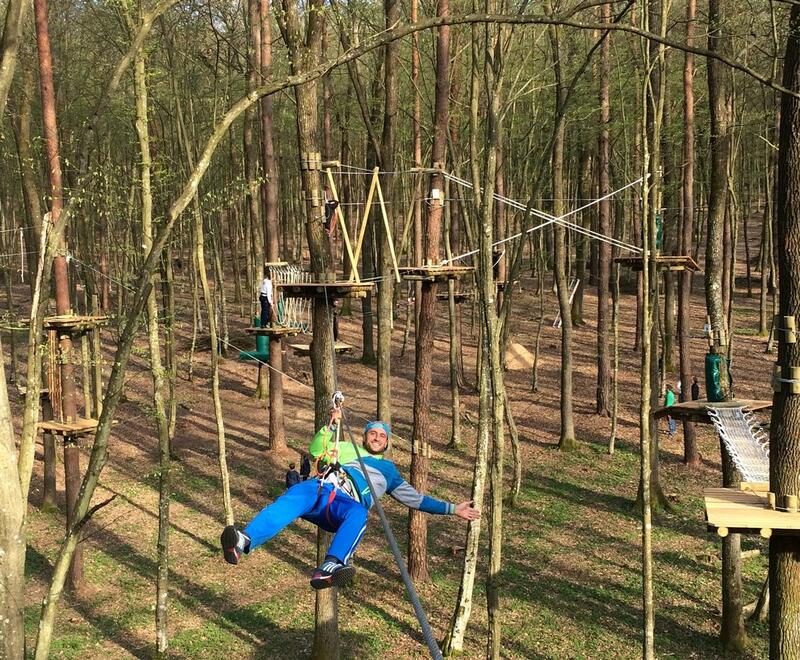 If you are a sports enthusiast or you simply want to try out something new, come to the Bukovniško jezero Adventure Park and become part of an amazing adventure. Choose a programme with difficult or less challenging elements according to your age, abilities and physical condition. 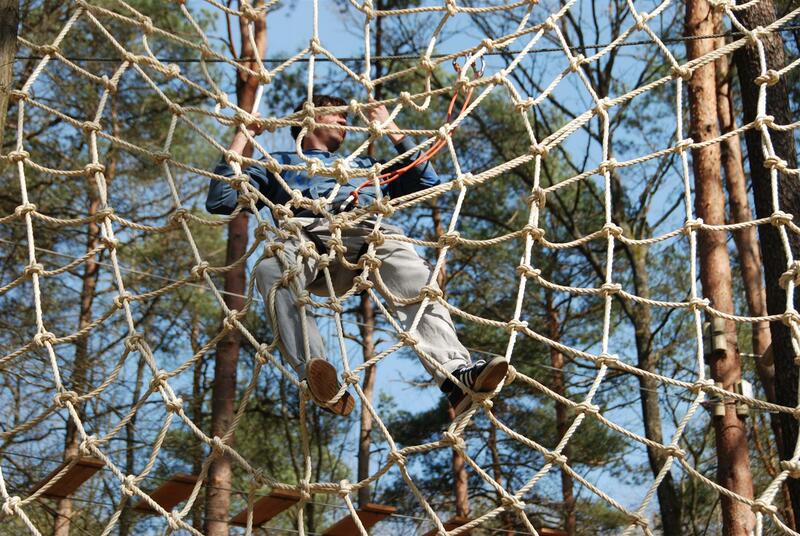 The bravest among you can climb our highest elements or try the 27 meters long stork flight. In the vicinity of the park you will find 50 relaxing energy points. The perfect sports day for primary and secondary schools! We developed a special programme for preschools, primary and secondary schools, which is perfect for sports days and excursions. With different levels and 5 routes we can adapt to groups of all ages. Our programmes are appropriate for all children from the age of 4. 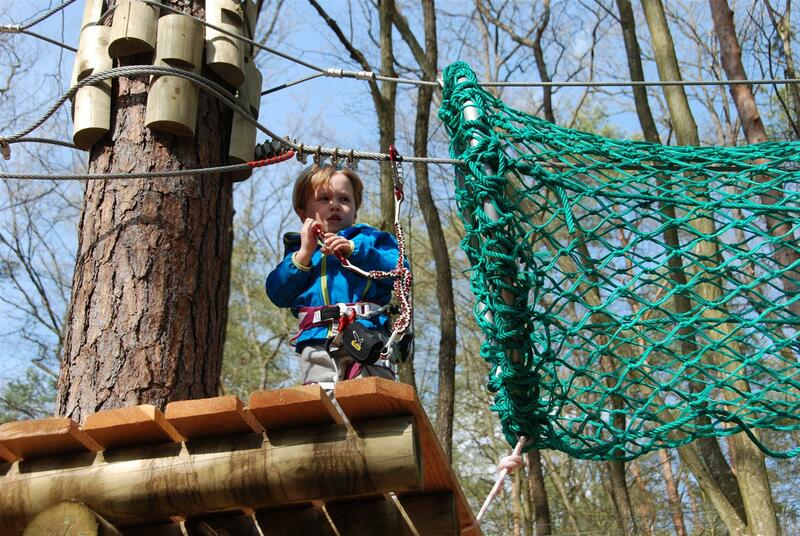 Each group has an instructor, who guides the children during the programmes and keeps them safe and amused. The programme lasts 2 hours. The programme lasts 3 hours. 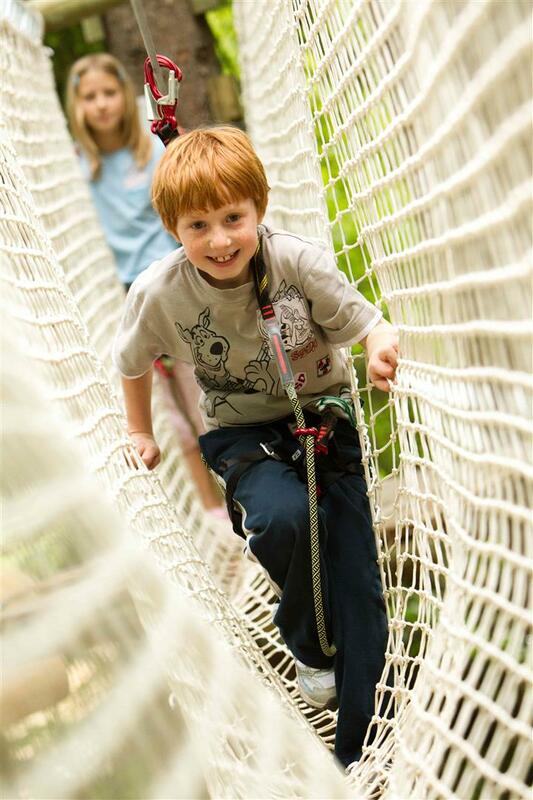 An unforgettable adventure for the whole family! 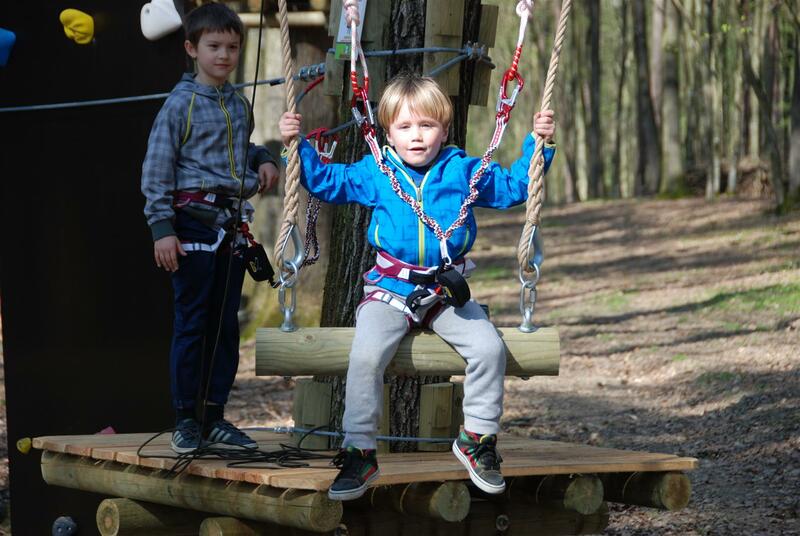 Visiting our adventure park could be the perfect family trip over the weekend or during holidays. At the same time it is a great opportunity for you, your children, spouse or grandparents to grab some fresh air, relax and have fun. We will find a programme that fits your age, physical condition and abilities. The park is also appropriate for elderly people, who want to renew their strength and fill up their batteries on the nearby energy points. Spend more time with your family and experience an unforgettable family adventure. 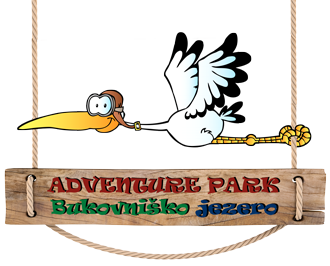 The Bukovniško jezero Adventure Park is the perfect place for the coolest birthday parties and greatest adventures. For enquiries and reservations, please contact our staff. 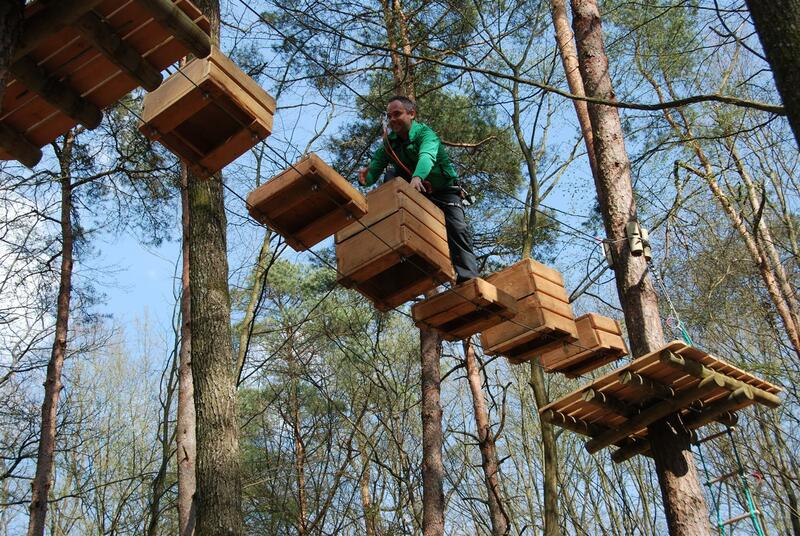 We also provide special team building programmes for closed business groups. The purpose of these programmes is to help you bond with your co-workers and make new friends. 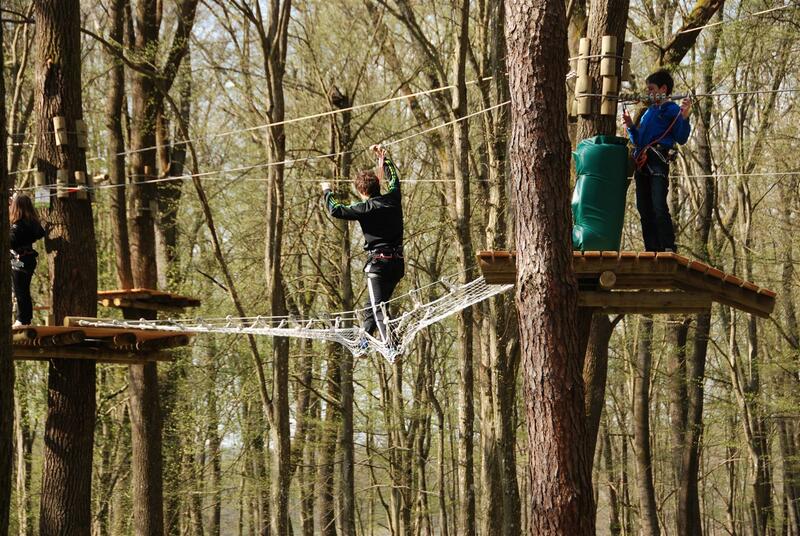 Team building has been extremely popular in foreign countries for quite a while and just recently it started to spread over the Slovenian market with equal success. Joint adventures are namely perfect for deepening the ties of friendship, gaining trust among co-workers and creating better working conditions and a healthier working environment. *All programmes for organized school groups come with an instructor. 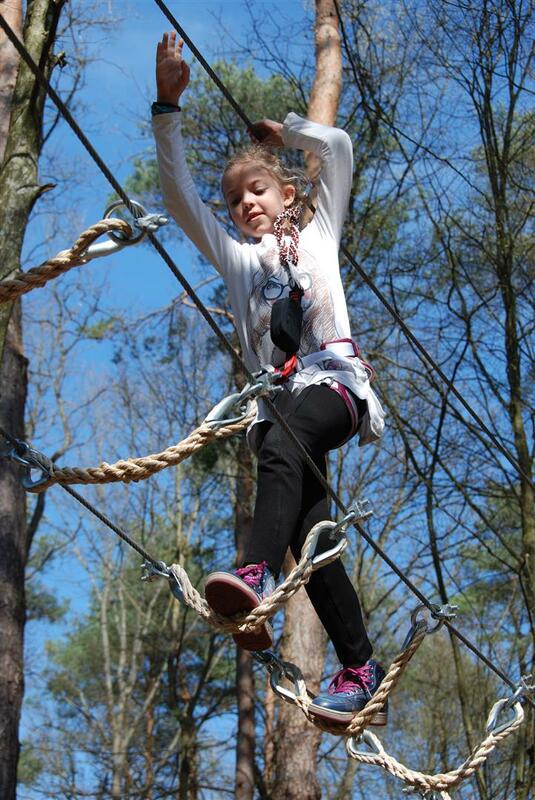 Each group gets an instructor or path leader, who is present during all activities in the park, so that larger groups of children can spend time in the park without adult supervision. Last entry: 2 hours before closing time.